With my wedding coming up I am trying so hard to improve my skin. At 25 I still suffer from breakouts like I did as a teenager and it’s upsetting thinking that it could ruin the best day of my life. It arrived in a colourful box complete with instructions and a charger. The device itself is waterproof which is great. Magnitone have advertised their product with a 7 day challenge, I started this on 21st October and since then I have been using this product twice a day – mornings and night when I usually cleanse my face. 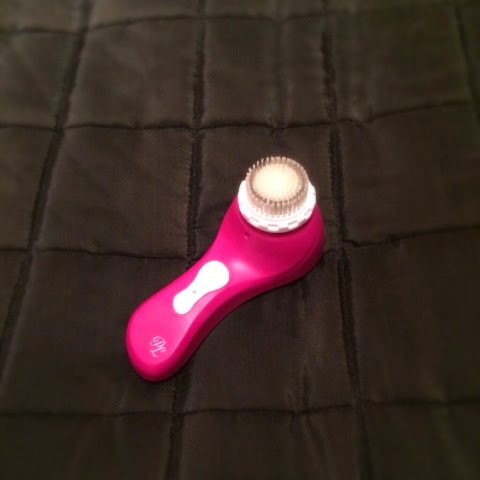 It is simple and easy to use, you can apply the cleanser to your face as normal or onto the brush, then turn the brush on and let it work its magic. The feeling is strange at first is it vibrates over your face but you soon get used to it and realise how powerful the cleansing actions are. Even after the first use my face felt smooth and so clean. After the full 7 days my skin has improved, my spots have cleared up and my face is a lot softer and smoother. I will definitely be carrying on using this twice a day!